It's no secret that I'm a huge fan of Gusto on the Newcastle Quayside and so they've appeared on my blog a fair few times. I'm afraid I have been keeping something from you though, and I thought it was about time that I shared. Poor Simon has had to listen to me going on and on and on about how fantastic the burger at Gusto is and so it seemed only fair that he should get to try it for himself, after all he does fancy himself as a bit of a professional in all things burger. 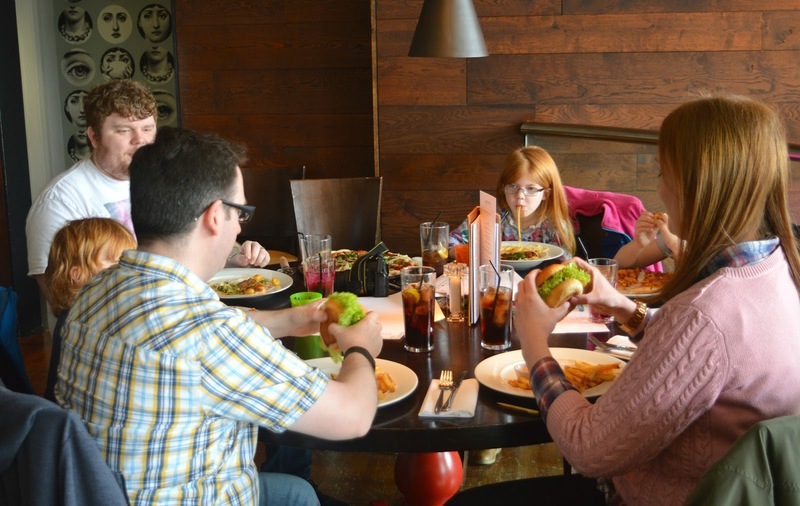 So last week we took ourselves off to Gusto with our friends North East Family Fun so that Simon could finally understand why I've been obsessively day dreaming about the burger ever since I first had it. Before we carry on I should probably point out that I'm not usually that fussed with burgers. Whilst Simon will quite often order one when we're out and about, they're usually at the bottom of my list and it's very rare that I choose one off a menu. 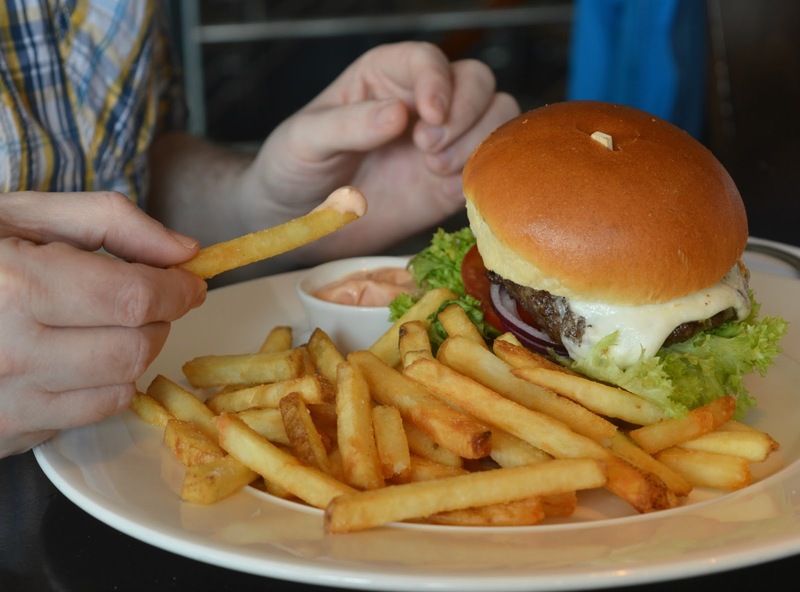 It takes a very special burger indeed to get me singing from Simon's hymn sheet so I think you'll perhaps understand why I have dedicated an entire blog post to a burger! It's that special that I decided I just had to share it with you all. It took me a while to even consider ordering the Gusto Burger. I don't know about you but if I'm in a restaurant with a menu that's crammed full of delicious pizza and pasta dishes a burger is the last thing on my mind. In fact, for a good long time I didn't even realise the Gusto Burger existed. 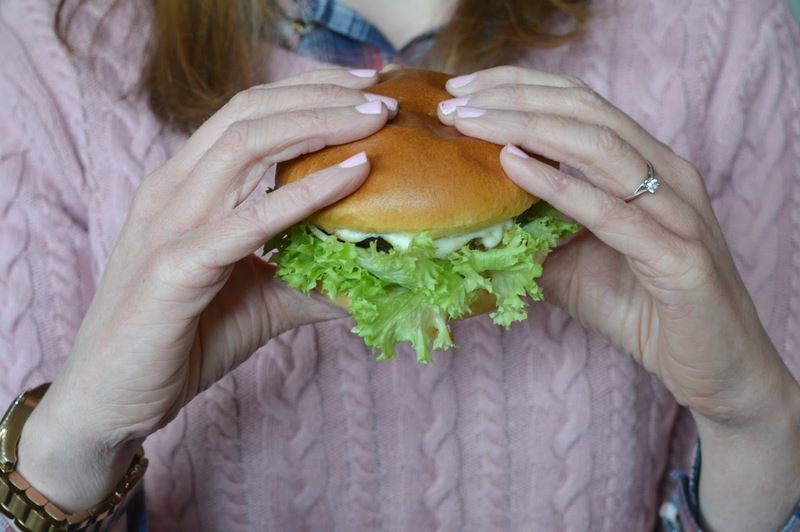 At first glance you might not think that the Gusto Burger is anything special, there's no special secret recipe, no weird and wonderful fillings and no gimmicks. It's just hidden away in the middle of the menu, minding its own business and is so easy to miss between all of the other delicious dishes that Gusto has to offer. You're probably left wondering why on earth I'm so obsessed with the burger? Well, let me tell you! 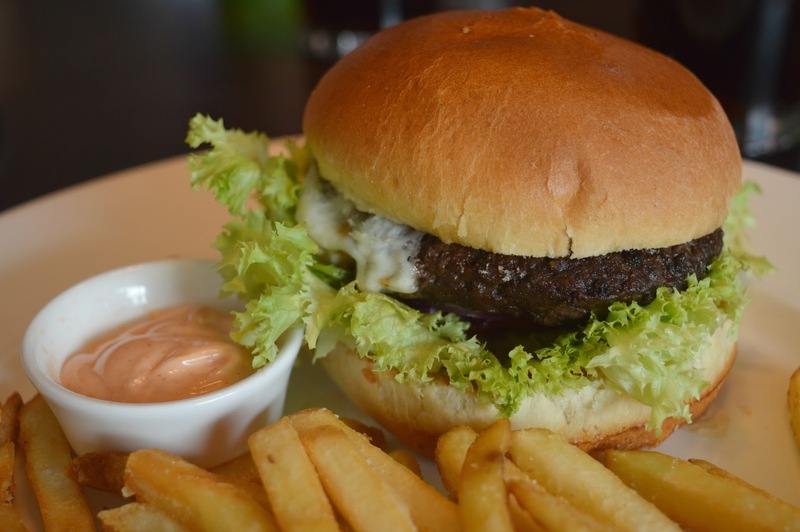 The Gusto Burger comes in a perfect brioche bun with melted mozzarella, crisp fresh lettuce and a gorgeous tangy sauce along with a generous portion of fries. I always order mine a little pink as this is when the Gusto Burger really comes alive, it is literally heaven and the meat is just so juicy! Believe me if I was any good at burger poetry I'd be writing one right now. Imagine how confusing life is for poor old Simon. He's so used to me insisting that we order different dishes when we're out and about so I can get a nice variety of food photos that me encouraging him to order the same as me almost made him fall off his chair. 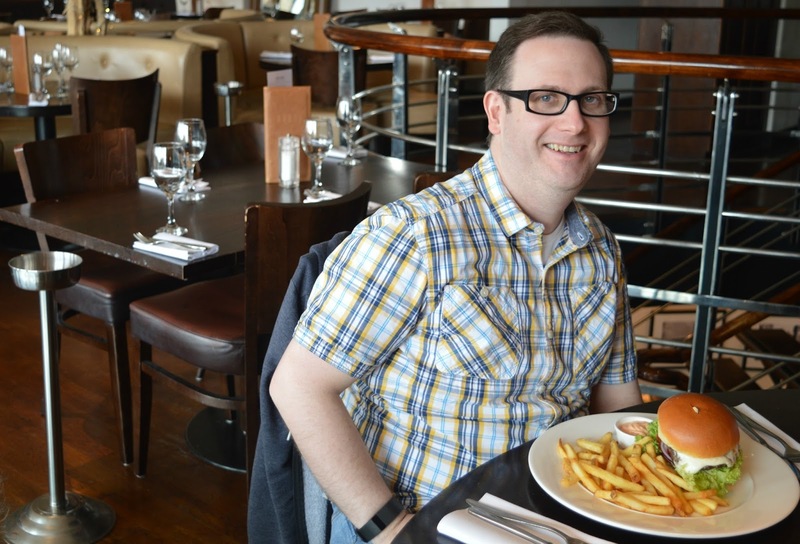 He was one very happy co-blogger getting to tuck into the burger that I've been raving so much about. And what did New Girl in Toon's resident burger expert think? Well it was two very enthusiastic thumbs up! So there you have it, one of the very best burgers in Newcastle and one you may not have thought to try before. Make sure you give it a go next time you go and let me know what you think! I need to order the Gusto burger next time I visit and see what all the fuss is about! that, and its delicious too! Yes too true! It's easy to pick it up and eat like a lady!